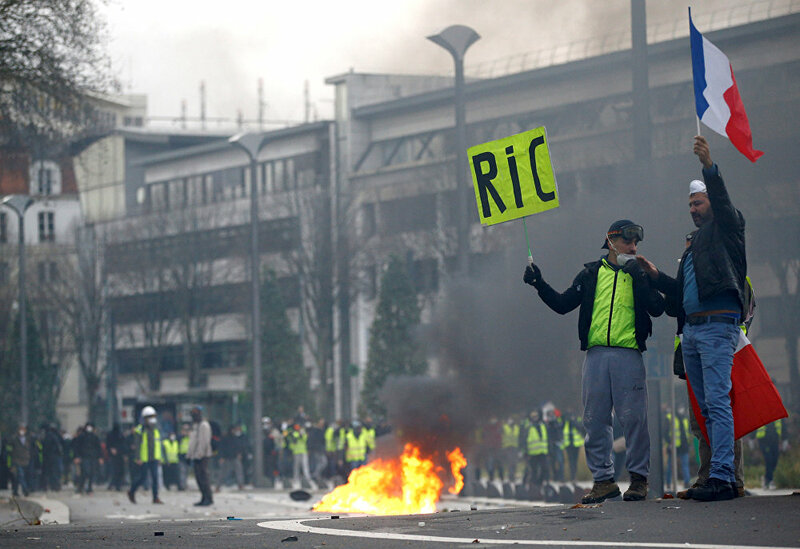 Macron slammed the "disinformation" propping the 2016 referendum in Britain, when talking to yellow vest protesters as part of the national debate initiative meant to appease the angry French public, dissatisfied with the economic state of affairs in the country. The French president appealed to the audience in Bourg-de-Peage, south of Lyon on Thursday as he launched a critical tirade against Britain's decision to leave the European Union. He told those who want France to leave the European Union that UK's example shows the dangers of a torn society, where members blame the wrong institutions based on false information. "Take the British. They voted for Brexit. There were people who, in good faith, were sometimes as angry as you are, and they said that the source of all their ills was Europe. It's rubbish. There were lots of buses passing by reading that you were going to save something like £36billion if you get out of Europe. And it will be done in 15 days, and then people voted. There were people who voted for Brexit, who did it in good faith, they were angry, and they thought their situation was impossible, because the system was unjust," Macron said. 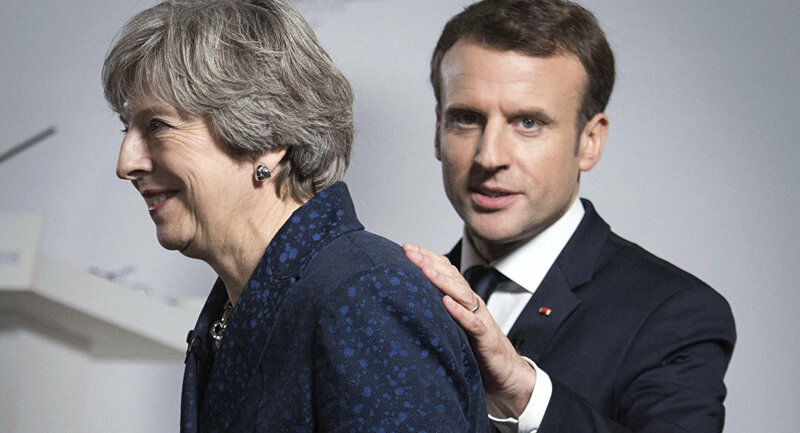 The French leader said that Brits now start realizing that during the Brexit campaign what was promised to be "done overnight in fact can't be delivered." 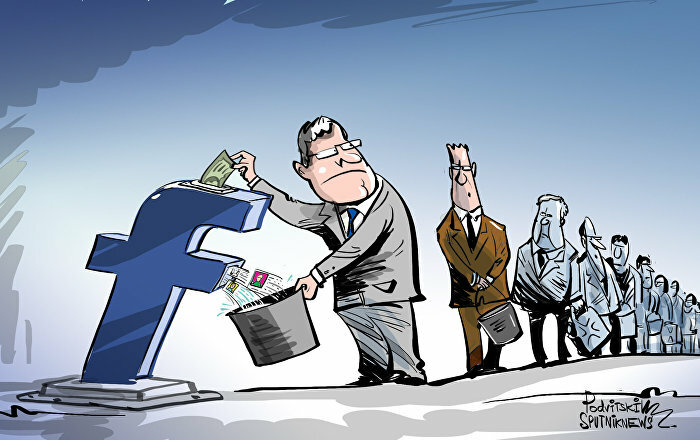 "And in the end it's going to cost them. In this context do you think that the referendum was a good thing? No, because it didn't allow for an informed, transparent and calm debate. It's torn a society apart, and it's left it open to disinformation coming from abroad, or terrible manipulation," Macron added. An arrangement of newspapers pictured in London on June 24, 2016, as an illustration, shows the front page of the London Evening Standard newpaper reporting the resignation of British Prime Minister David Cameron following the result of the UK's vote to leave the EU in the June 23 referendum. It is not the first time the French president speaks out against London's departure from the bloc, having previously said he "regretted this vote for the rest of Europe and for our special relationship." Macron made an example of Britain's bad leadership in the follow-up to the referendum, pointing to the resignation of then Prime Minister David Cameron. "The result is, it's in fact been going on for two years now and those who promised a Brexit literally left within two weeks. They didn't even want to govern," Macron said in his speech. Another European leader, who was reported to criticize David Cameron, said he was very blunt with the British PM when they spoke about the referendum on Britain's EU membership back in 2016. European Council President Donald Tusk reportedly told Cameron that if the UK tried forcing or rushing the EU, it would lose everything.